Guess, who is back. Thank you for your patience again! Wasn't that me, who promised to post more this year!? This week's topic is fresh and I hope you like this absurd idea... and I really promise, the next one won't take so long. Oh man, that's FRESH alright. haha. As long as it's just pigeons and crows, that's cool. 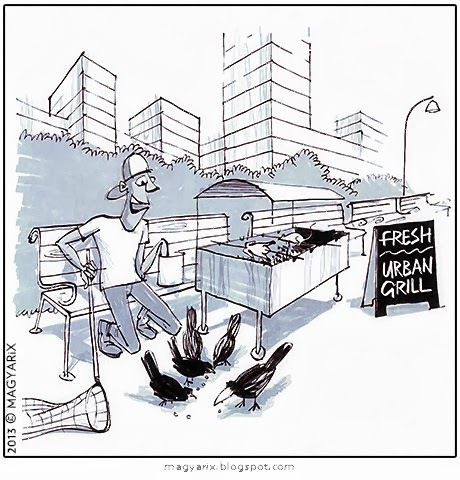 Just no other birdies on the menu, okay? Haha...brilliant..couldn't be fresher! No refrigeration lorries needed! This is really exactly like Urban caveman isn't it!